Boston.com is going through a transition and redesign period and Corner Kicks will not be part of the ride. On April 1, I will be relieved of my duties to cover the New England Revolution, domestic, and international soccer for the page. All of my articles, plus past contributions from Frank Dell’Apa, John Powers, and Monique Walker will be available as an online archive. I will contribute to Boston.com/The Boston Globe less often, covering sports mostly as a freelancer. It has been an honor and a privilege to report and analyze soccer for you. This page is considered to be a blog, but please believe me when I say I do not consider myself a blogger. I have told my fellow journalists, colleagues in media relations, and even Globe editors and staff that I take Corner Kicks very seriously. I have treated this like a full-time job. Thank you again. I am graduating from Brandeis in May and am looking to continue my journalism career. I sincerely hope we cross paths in the future and that you continue to read my work no matter where it appears. Follow me on twitter @juliancardillo…Faber est quisque fortunae suae! FOXBORO, Mass.- Jose Goncalves' return to the starting lineup didn't provide the Revolution with their first win, though it did earn them their first shutout of the season as they drew the Vancouver Whitecaps, 0-0, at Gillette Stadium on Saturday afternoon in their home opener. 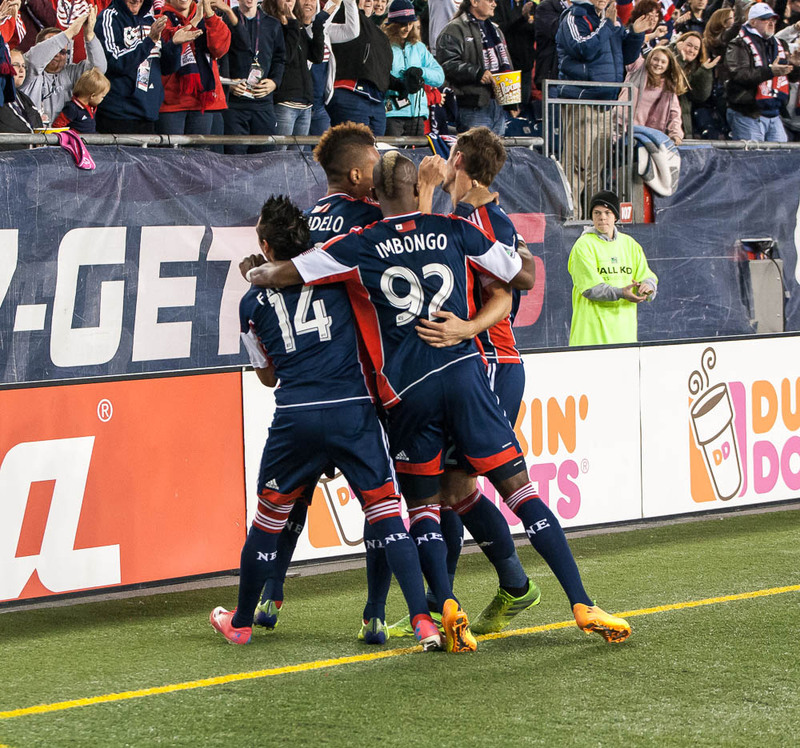 A crowd of 13,103 watched as the Revolution earned their first point of 2014 and improved to 0-2-1 on the young season. Goncalves, after being absent from both the lineup and the traveling team for last weekend's loss at Philadelphia, donned the captain's armband and paired with AJ Soares in central defense. After recent discussions with the club, Goncalves looks ready to put past disputes behind him and focus on the season ahead. "I think everything is going normally...Everyone is focused on the game," said Goncalves on Saturday. "That's most important. All the stuff, outside speculation, it can be a lot of speculation. But I am here playing with the guys, my team, so that's the most important thing. "Everyone is prepared now...We need to get back into training next week with the winning mentality," added Goncalves. "We are going for the three points in our away game. It's going to be tough. We must start taking points because we lost so many points early in the season. This is not the start we wanted to have this season, but that's the way it is and we can still change everything and turn it around." Goncalves anchored a back line that required Revolution goalkeeper Bobby Shuttleworth to only make two saves for his first clean sheet of 2014. That's a key statistic, especially when considering the depth and creativity of Vancouver's team. "We're going to take away a good, solid performance defensively from top to bottom," said Heaps. "They didn't have a ton of chances. That's always good. When we had our shutout streak last year and we did well, the other team wasn't getting a ton of chances. We limited them today. But we need to be more clinical on our chances." The Whitecaps robust, five-man midfield owned possession in the first half, though the Revolution created the better chances. Andy Dorman had the game's first scoring opportunity, seeing his header off a Chris Tierney corner kick tipped over the bar by Whitecaps goalkeeper David Ousted in the fifth minute. In the 19th minute, Kelyn Rowe made a 15-yard run toward goal and uncorked a shot that whistled inches wide of the far post. Rowe left the game in the 89th minute reportedly clutching his hamstring. He was sidelined last week with a hamstring injury, though his current status is still unknown. Whitecaps Head Coach Carl Robinson made two substitutions in the second half to open up the game and give the visitors some offensive help. He first took off Sebastian Fernandez at halftime for Pedro Morales, who set up the Whitecaps' first two meaningful looks at goal, playing Kenny Miller in behind the defense to have a volley saved by Shuttleworth in the 45th minute; Morales also shot a 20-yard freekick inches wide of the far post in the 56th. Robinson then brought on Kekuta Manneh for Russell Teibert in the 67th minute to add some speed on the flanks. 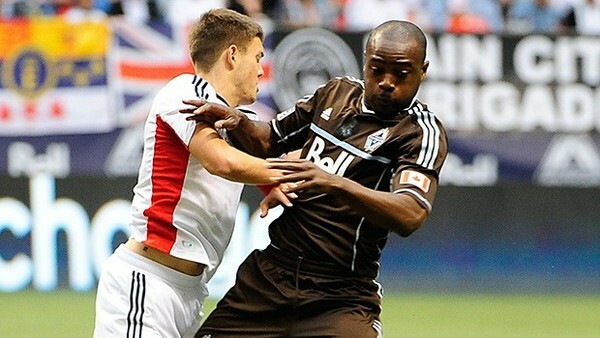 That created a battle for control of the left wing with Andrew Farrell, who kept up with Manneh's sprints and prevented Vancouver's creative midfielders from going in alone on Shuttleworth. "It's my job, I don't usually let anyone in behind me," said Farrell. "It's tough. First half was against Fernandez, a good guy, scored a big goal for them a couple weeks ago, then [Manneh] came in...You just have to be aware. Sometimes they get in behind but you just have to chase them down and let them know you're there. Get physical with them early. "[We did a good job. AJ], had my back, [Goncalves] had his back. We looked pretty good out there." The defense's performance was encouraging after allowing five goals in the first two games, though the offense is still goalless. The Revolution generated 17 chances, however, coming close multiple times. In the second half, Kelyn Rowe shot wide of the left post from just outside the penalty area in the 59th minute. In the 67th minute, Diego Fagundez got the ball from Teal Bunbury in box, took on three defenders, and then fired a low drive that rolled just wide of the far post. Daigo Kobayashi, who joined the Revolution from Vancouver in late February, had the game's last scoring chance, his shot from inside the penalty area blocked from flying into the goal by Andy O'Brien in the 79th minute. "We need to break that ice, not just myself but everyone as a team," said Fagundez. "We need to break that ice and I think more goals will come...we had a lot of chances. We come home, we felt comfortable and we want to get a victory here. As a team we did well, but we just didn't finish our last chances." The Revolution will head into next Saturday's game at San Jose on a 270-minute goalless streak. The team had a 540-minute scoreless streak at the beginning of the season last year, but still made the playoffs. "It feels [like last season], but you're trying to break the ice and the ice is not broken," said Fagundez. "It's tough because you feel like it's on yourself. I'm going to go out there this week and make sure I take 100 shots instead of 10." "It was a hard-fought match, difficult to get a ton going," added Heaps. "We had 17, 18 chances. The goalkeeper made two really good saves. In the end, we have to be better offensively...this has not been an ideal start...we put it together in some areas...In the end, we'll get more points, but unfortunately it wasn't good enough." Jose Goncalves back- For the foreseeable future. Revolution General Manager Mike Burns took time to speak with media prior to kick-off about the Goncalves situation. He said that Goncalves and the club had had discussions and that the reigning league Defender of the Year is happy in New England and has put past disputes behind him. Goncalves reportedly had a good week of training with his teammates. On Saturday afternoon, he re-took the starting lineup and wore the captain's armband, holding off a talented core of Whitecaps attacking midfielders and teaming up well with A.J. Soares in central defense. Whether past disagreements resurface remains to be seen. But Burns' statements-- plus Goncalves play against Vancouver-- seem to suggest that he's focused on what's ahead. Jay Heaps dealt well with Vancouver's substitutions- Vancouver coach Carl Robinson had plenty of weapons on the bench to throw at the Revolution. Bringing on Pedro Morales added some creativity and skill that was absent from Vancouver's play in the first half. Adding Kekuta Manneh mid-way through the second half gave Andrew Farrell and the Revolution defense a speedster to deal with on the left flank. The back line held up and Heaps was able to keep his squad focused. It was obvious that everyone on the back line was fit and ready for the athletic and dynamic play of Vancouver's depth. Outlook- A 0-0 draw in the home opener is definitely two points lost, not one point gained. But given that this is the first point of the Revolution's season, there is reason to believe that this result can act as a cushion or potential momentum builder going forward. For one, the defense remained solid and can rejoice in the fact that Jose Goncalves had a Defender of the Year-worthy performance. And despite not scoring, the Revolution's offense didn't look too bad, either. No, there were no goals to show for their efforts. But at least three of the Revolution's chances barely trickled wide of goal. One tally will be enough to get the floodgates going, much like in 2013. FOXBORO, Mass.- The New England Revolution drew their home opener with the Vancouver Whitecaps, 0-0, on Saturday afternoon at Gillette Stadium before 13,103. Jose Goncalves returned to the starting lineup after being left off the traveling squad for last weekend's loss at Philadelphia. Goncalves wore the captain's armband on Saturday and helped the Revolution preserve their first shutout and points of the young season. Vancouver controlled most of the first half possession, though the Revolution created more chances. Andy Dorman flicked a corner kick by Chris Tierney at goal that Whitecaps goalkeeper David Ousted had to tip over the bar in the 5th minute. Kelyn Rowe then shot inches wide of the far post in the 19th minute after making a 15-yard run with the ball. The addition of Pedro Morales and Kekutah Manneh for the Whitecaps in the second half stretched the field to give the visitors a greater share of the attack. But Bobby Shuttleworth only had to make one save in the second half to earn his first clean sheet of the year. The Revolution are unbeaten in home openers since 2006. Wayne Rooney scored a wonder goal from way downtown to push Manchester United over West Ham in English Premier League action on Saturday. BOSTON- With only losses and no goals in their first two games of the season, the New England Revolution are understandably looking forward to the comforts of Gillette Stadium for Saturday afternoon's home opener against the Vancouver Whitecaps. "It's nice to be home, to play and practice on your own fields," said Revolution goalkeeper Brad Knighton in a phone interview on Thursday after training. "We've been traveling quite a lot through preseason and then being on the road for the first two games. There's a comfort level, training on our own field." Knighton, 29, spent the last two seasons in Vancouver. He re-joined New England, where he started his professional career as a third-string goalkeeper in 2007, in December when the Whitecaps agreed to trade him for a conditional pick in next year's draft. A now-seasoned, eight-year professional, Knighton is no longer a third-string goalkeeper. But he's yet to make an appearance in his second tour of duty with the Revolution even though he's on equal footing with Bobby Shuttleworth, who started the first two games. "We're both very good shot stoppers, both good with our feet, both young and hungry. We're fighting for spots," Knighton said of the competition with Shuttleworth for the starting job. Given that he was a recent starter with the Whitecaps, Knighton may know the habits of his former teammates better than Shuttleworth. But Shuttleworth has been in good form despite allowing five goals in two games. In both Houston and Philadelphia, the defense left Shuttleworth out to dry, either stepping too early to play the ball or getting caught out of position. The result was either Shuttleworth picking up the broken pieces and making a big save, or picking the ball out of the net because there was nothing he could do when a scorer was given so much time and space in the box. In spite of the rocky start the defense has had, Shuttleworth has registered seven saves, including stopping three breakaways. "It comes down to us training hard and pushing hard, whether it's me or him," added Knighton. "We have to get the best out of each other so we can perform no matter who is in the eleven on game days." The Revolution will prepare for the relentless Whitecaps, who started the season off with a 4-1 victory against New York and then a 1-1 tie at Chivas USA. They'll be keen to not only stay unbeaten on the road against a Revolution team that's gotten off to a sputtering start, but also avenge the 4-1 loss they sustained when they last visited Foxboro on May 12, 2012. Away points are hard to accrue in MLS and the Whitecaps may have Gillette Stadium circled as an easy place to win after the Revolution started the season with back-to-back losses and no goals scored. Vancouver, meanwhile, will be riding high after jump-starting their season with two performances that have them labeled early as a playoff-caliber team in the Western Conference. Mid-winter, few knew how good the Whitecaps could be. The soap opera of reigning league scoring champion Camilo Sanvezzo turning his back on Vancouver and MLS for Queretaro of the Mexican league seemingly depleted the Whitecaps' goal-scoring core. But the advent of Chilean playmaker Pedro Morales, plus Kenny Miller, who scored twice against the Revolution last year, have the Whitecaps offense off to a prolific start. Meanwhile, veteran leadership through the likes of US national team and World Cup central defender Jay DeMerit, who is expected to start on Saturday, is keeping the club balanced and focused. Head Coach Carl Robinson, a former midfielder for Toronto and New York, understands MLS and has moved the club past the Camilo fiasco in his first few months at the helm. “Even when I left, they had a good core of players, experienced players," said Knighton. "They were going to find their groove eventually. And having Carl [Robinson] as their coach has helped them because he knows the league and the club's system…it’s a matter of putting that together, and they have." Knighton is obviously hoping for the start on Saturday, though it wouldn't be a surprise to see Shuttleworth earn a third straight start. Nevertheless, Knighton will be ready to lead the Revolution from the pipes once he earns his call. "We're fine and don’t need to hit the panic button," said Knighton of the importance of this weekend's game after opening with consecutive losses. "You know the statistics, it’s hard to win on the road in MLS. Houston and Philadelphia are two big clubs and two places that pick up points at home. "We need to pick up points here on Saturday. There are 32 games left, a lot still to play for. We can't sit there and say 'what if this' and 'what if that' this early in the season." The Revolution opted to leave Jose Goncalves, the club captain and reigning Defender of the Year, in Foxboro rather than take him to Philadelphia for yesterday's clash. He wasn't injured, according to the club's most recent injury report. Odds are that Goncalves is still unhappy over his contract situation. If this is true, Goncalves becomes more valuable off the field than on. Is this who the Revolution want to trust with being a club captain? Former club captain Shalrie Joseph not only had his share of disagreements with the front office, but also had opportunities elsewhere and yet put New England first time and time again. Is that quality so rare? The writing seems to be on the wall for Goncalves to leave New England in the near future. Given that General Manager Mike Burns said at Media Day three weeks ago that there was one very specific part of the field the club is looking to sign a player for, it's very possible the Revolution are already shopping for Goncalves' replacement. Games one and two of the 2014 season had too many misplaced passes and not enough possession. It doesn't help, of course, that Lee Nguyen and Kelyn Rowe have yet to get on the field together because of injuries. But the team's transition player, Scott Caldwell, has gotten overrun so far in 2014. Last weekend, a Caldwell giveaway produced Houston's second goal in a 4-0 loss. Caldwell had a better showing on Saturday against Philadelphia, but struggled to move the ball forward and connect with his fellow midfield players. Caldwell made 27 passes while Maurice Edu, who played the same position for Philadelphia, made 44. Now consider that Philadelphia owned possession by 20 percent and out-shot the Revolution 13-5. In a revamped Eastern Conference, the Revolution can't afford to be "second best" as Jay Heaps said yesterday at halftime. More chances need to be generated from a midfield that possesses and does creative things with the ball. The Revolution have a stiff challenge in the Vancouver Whitecaps for their home opener at Gillette Stadium next weekend. The Whitecaps dismantled the Red Bulls in their season opener, and look like a capable road team this year, too (eyes should be on their clash at Chivas USA this evening). Gillette Stadium might provide the bump the Revolution need to find their first goal and win of the season. A loss would be devastating. It's still early in the season, but the club's performance through three games will be telling of what its strengths and weaknesses are. The Revolution will use their first two results as motivation to play better and earn their first points of the season in front of their inaugural 2014 crowd. But a third straight loss would mean an early uphill battle for higher placement in the conference, plus the other issues the club is figuring out on and off the field. The Revolution have opened their season with two losses, the latest of which came at the hands of the Philadelphia Union, 1-0, at PPL Park in Chester, Penn. on Saturday afternoon. Sebastien Le Toux scored the game's only goal in the 31st minute, poking in a feed by Leonardo Fernandes for his first tally of 2014. "In the first run, we over-committed a bit defensively and allowed them to break in," said Revolution Head Coach Jay Heaps after the game in a phone interview. "When that happens players will take advantage of it. They did, and they scored a nice goal." The Revolution have allowed six goals so far the this season, the most they've given up through their first two games since 2004. The Revolution are also now 0-4-2 all-time at Philadelphia. As they sought to bounce back from last weekend's season opening 4-0 loss at Houston and earn their first win of 2014, Heaps made five changes to the starting lineup, including leaving club captain and reigning league Defender of the Year Jose Goncalves in Foxboro and starting Andrew Farrell in central defense. Farrell, plus midfielder Lee Nguyen, were both injured for last week's game and made their season debuts on Saturday. Rounding out the changes to New England's preferred 4-1-4-1 formation was Andy Dorman starting in place of Kelyn Rowe (quadriceps), Darrius Barnes for Kevin Alston (hamstring) at right back, and Donnie Smith for Patrick Mullins on the left wing. Despite the changes, it was the Revolution's midfield, not defense, that crumbled. A revamped Union team that includes US national team midfielder Maurice Edu plus freshly-signed designated player Cristian Maidana pinged the ball around the turf while the Revolution misplaced passes and gave possession away cheaply. Philadelphia began picking off the Revolution's defense early in the game. Amobi Okugo nearly scored on the game's first chance in the 18th minute, seeing his header off a corner kick by Maidana cleared off the line by Smith. Seven minutes later, Bobby Shuttleworth dove left to stop a point-blank effort from Jack McInerney, who shot first time after being found open in the six-yard box off a feed from Leonardo Fernandes. In the 31st minute, Fernandes set up Le Toux for the opening goal and the eventual game-winner, finally beating Shuttleworth and New England's makeshift back line. Fernandes cut by Farrell on the left side of the penalty area, strode into the box and played the ball in front of Shuttleworth for an open Le Toux, who redirected the ball into the net. "[Farrell] is coming back from injury but to me played well," said Heaps. "Defensively, we gave him too much to deal with on the flank play but centrally he handled most of the plays very well." The Revolution tried for a quick response in the 38th minute, as Shuttleworth's goal kick bounced into the penalty area for Bunbury, who played the ball across the box for Diego Fagundez. Fagundez hit Bunbury's feed first-time but had his effort saved by Union goalkeeper Zac MacMath. The rebound popped out to Fagundez instantly, but the player was unable to control it and watched as he inadvertently kneed the ball over the crossbar. Heaps brought Jerry Bengston into the game at halftime for Donnie Smith, a move which stretched the field and allowed the Revolution more space to attack. Bengston didn't create a scoring attempt, however, though he created a physical battle for possession with Philadelphia center back Austin Berry. Bengston won the battle, getting in behind Berry often. On one occasion, Berry, who was on a yellow card, took down Bengston on a breakaway. But match referee Kevin Morrison didn't eject Berry via a second yellow card, which the replay shows he should have done. "We wanted to stretch the field with our pace. We tried opening the defense early in the second half...It's clearly a second yellow [on that play]. Unfortunately the referee was behind the play and didn't see it...unfortunately he made the wrong call." The Revolution's last real chance was a line-drive shot by Fagundez from 30 yards out in the 59th minute that MacMath had to punch over the bar. And despite a series of interchanging passes and pressing high for the equalizing goal, that shot was New England's last real venomous chance of the game. "We could have played quicker, we could have played higher up and done better with the outlet ball," said Heaps. "We weren't good enough with the outlet ball." With two losses to open up a season that started with so much excitement and anticipation, the Revolution will re-focus for next weekend's home opener against Vancouver at Gillette Stadium. Foxboro may be the place for Revolution to find their form as well as their first goal, shutout, and victory. But questions continue to linger after this game not only about the team's rocky start, but also about the absence of their captain and defensive general, Jose Goncalves. "Our focus it to put the best players on the field to win this match," said Heaps when asked about Goncalves absence. "We tried to draw up a plan for this game." BOSTON- Roma and Liverpool will play at Fenway Park for a pre-season match on Wednesday, July 23, Fenway Sports Group announced on Wednesday. Both clubs have owners that are based in Boston. Roma's president is James Pallotta, a shareholder in the Boston Celtics. Liverpool is owned by John Henry, also the owner of the Boston Red Sox. The two clubs squared off two summers ago in the same venue, with Roma winning the tilt by a 2-1 scoreline. The match served as the introduction to several new European talents, including Alessandro Florenzi and Raheem Sterling. That game had a sold out crowd of 37,000. The New England Revolution showed flashes of brilliance in their season opener away at the Houston Dynamo on Saturday night, but allowed three goals in the first 23 minutes and ultimately fell 4-0 at Robertson Stadium. It was the first time the Revolution lost by four since July 2, 2010. Houston's Will Bruin, who opened the scoring in just the second minute, had two goals and one assist to lead the Dynamo. Additional goals from Boniek Garcia and Omar Cummings solidified the result for the hosts, who only out-shot the Revolution 20-18. Bruin's first goal came just 69 seconds into the game. He latched onto a cross from Kofi Sarkodie at the top of the box, faked out Jose Goncalves, then spun to his left and volleyed the ball past the outstretched reach of Revolution goalkeeper Bobby Shuttleworth. Houston's second goal came off a giveaway by Scott Caldwell in the 14th minute, Cory Ashe taking control of possession on the left side of the field and crossing the ball into the box. Bruin slid onto Ashe's feed and doubled Houston's lead easily. The Revolution struggled to respond and couldn't connect passes in midfield. They were already without starters Lee Nguyen and Andrew Farrell and had to substitute Kevin Alston for Darrius Barnes in the 20th minute for a hamstring strain. That switch only forced the Revolution to adjust more, which took its toll. In the 23rd minute, Bruin drew three Revolution defenders toward him as he played with possession on the edge of the penalty area. He then faked a run and fed Garcia, who ran onto the pass and sent a blazer into the upper corner of the net past a helpless Shuttleworth. The Revolution regained some of their usual attacking form after giving up three goals, though nothing came of their more positive play. Barnes had a throw-in that nearly squirted into the goal in the 40th minute, but was ultimately played away for a corner kick. On the ensuing play, AJ Soares flicked a Chris Tierney cross off the right post. Teal Bunbury, playing as a lone, interchangeable forward with Diego Fagundez and Patrick MUllins, collected a loose ball in the penalty area in the 44th minute and shot a low drive at goal, but had his effort saved from nearly point-blank range by Houston goalkeeper Tally Hall. New England switched Mullins for Jerry Bengston at halftime, a move that gave the Revolution more space and helped continue the offensive momentum they generated in the late stages of the first half. But no player would be able to capitalize on the offensive tactics. The Revolution saw a slew of chances go wide. Kelyn Rowe volleyed an over-the-top pass by Fagundez first (56th), Bengston missed an open shot from two yards over the crossbar (68th) and Fagundez clipped the crossbar with a curling shot (82nd). Shuttleworth, who faced a firing squad of chances by Houston, was hung out to dry by either poor passing or bad defensive positioning. He made five saves, including stops on two breakaways. Houston was fortunate to get their fourth goal in second half stoppage time, as Cummings shot at goal took a deflection and corkscrewed away from Shuttleworth, who was going in the opposite direction. The Revolution play at Philadelphia next weekend. BOSTON- He knows it and his coach knows it. Dimitry Imbongo, 23, the tall and hulking six-foot forward from the Democratic Republic of the Congo, needs to be smarter with his physical play and keep his strength in check. He has a knack for scoring timely goals but has also emerged as the club's biggest liability on the field. He was last year's league leader in red cards (3) and was ejected in last week's final preseason game against the Colorado Rapids for a late-game altercation with Marvin Chavez. "When you get a red card when you're trying to make a team play, you can understand it," said Revolution coach Jay Heaps at Media Day on Tuesday night. "Or you're backing someone up or your defending the group." "But when you get a personal red card, I have a problem with that. I count that as retaliation or a play that hurts the team." "Unfortunately, I think Dimitry has a ways to go in understanding how strong and physical he is and what it's going to take for him not to retaliate. I don't think he initiates any of the red cards he receives. Unfortunately it's been red cards that the referee sees as the second retaliation. For me, that's not good enough for the group." Imbongo wants to lead the Revolution to an MLS Cup and score at least ten goals this season. Heaps has showed good faith in the young striker too, giving him 11 starts in 21 appearances last year. But the red cards are mitigating Imbongo's contributions and giving him a reputation as a reckless player. "The red cards from last year, some red cards I got you can't say were fair," said Imbongo. "[It's different in Europe]. And I'm the striker, I need to use my elbow on the defender behind me. It's not easy. But the red card I got in preseason...was really stupid from me. I'm really sorry about that." MLS has a reputation as a fast and physical league. It is true, however, that the nature of fouling is different around the world. The English Premier League and German Bundesliga are both very physical leagues where the attacking player is almost always given leeway on 50-50 plays. Prior to joining the Revolution in July of 2012, Imbongo played four years in Germany; first with 1860 Munich, then with third-tier team SV Darmstadt 98. But all referees crack the whip on high elbows. Two of Imbongo's three red cards last year involved his elbow. The other was produced following an altercation with Houston's Bobby Boswell, a situation similar to the preseason tussle with Chavez. "Some players in the league know me now, how I play." said Imbongo. "They want to push me to get the red card. But I really need to be smart." That doesn't mean Imbongo can't use his size and strength to his advantage. When he has, he's been a deadly target and holder of the ball in and out of the penalty area. His physicality helped him score each of his three goals last year, including a crisp side volley he netted in last year's playoff with Sporting Kansas City. "We want him to be even more physical," added Heaps. "Physical does not mean retaliation or dirty. It means establishing yourself in the rhythm of the game and using your strengths physically. When he holds the ball there's no one who can take it from him. We love that about him." "But it's the other things, the elbows up that we as a staff continue to work with him on. He's a young player. He's been on the receiving end of a lot of mistreatment. He has a little bit of a reputation and he has to go about cleaning that up by playing the right way." All strikers in MLS have to contend with a core of tall and strong defenders. It helps that Imbongo has the likes of Jose Goncalves and Stephen McCarthy to practice with in Foxboro. There is a way by these hulking players, though it's definitely not with his elbow. Imbongo knows he has an advantage as an uncommonly strong physical player and he's embracing it. "It's very important to be a strong striker," said Imbongo. "A couple of teams have very strong defenders, like Kansas City, New York, LA...they all have strong defenders. It's important to have big strong guys in the front to hold the ball, to keep play with the defender behind." Tactically, getting by those defenders won't be easy. But for a player like Imbongo, who has the tools and is looking forward to scoring multiple times this season, it's adapt to survive. "I just want to [have more of a focus] in front of goal," he said. "I want to score more goals because now my teammates know me, how I play, how I move in the field. This season is going to be good." Note: the word "efficacious" was changed to "more of a focus" and an earlier version of the article reported that Imbongo had been suspended. BOSTON- Revolution Captain and reigning league Defender of the Year Jose Goncalves was central to last year's playoff run, though it's still unclear how much he wants to be part of the group in 2014. On Jan. 19, Less than three months after completing a permanent move to New England following a season on loan from Switzerland's FC Sion, Goncalves, 28, let slip to the blog A Minute in Sports! that he felt undervalued and was looking at moving on in the near future. When preseason began later that month, Goncalves was naturally asked by reporters to comment on whether he wanted to stay or leave. He said the Revolution didn't honor certain "promises" and that he was looking forward to discussing this further with the club. Fast forward to Tuesday night, the club's Media Day and Jersey Unveiling at Royale Night Club in Boston, where, during opening remarks, Head Coach Jay Heaps said that all 28 members of his team are excited to kick-off the new season, which begins this Saturday at Houston. But when Heaps was later asked to clarify that statement-- about whether or not discussions with Goncalves had occurred and if the player was also looking forward to a new season with the Revolution-- he gave a calculated answer that didn't delve into the current relationship between the player and the club. "There's a lot of different things that occur in the life of a professional athlete," said Heaps. "When we talk about the 2014 season, we're talking about the team expectations and the team goals. Everyone is excited for those." Goncalves was at Tuesday night's event, but did not comment on the situation. Earlier this week, former Revolution forward and ESPN soccer analyst Taylor Twellman commented on the situation in a league preview video. He alluded to rumors that surfaced from Revolution training camp regarding Goncalves. That Goncalves, "wears headphones, doesn't talk to the press, [and] warms-up by himself." That rumor could be true, though it wouldn't mean Goncalves in necessarily distancing himself from the team because he's unhappy or dissatisfied. Goncalves is a fierce competitor who likes to remain distraction free. Warming-up alone could be a routine. But while the interpretation of Goncalves' behavior in recent weeks is conjecture, his importance to the club is easily quantified. Losing Goncalves in the near future would take away a key defensive piece in central defense; a moving brick wall in front of net that is hard to find in MLS. Seeing Goncalves go would also take away a significant chunk of the club's leadership. The team's average age is about 25 years old. Players benefit not only from the focus and discipline that Goncalves models, but also by his 11 years of experience playing in five different European leagues. Goncalves saw significant playing time during preseason, but was sidelined for the last game against Colorado as precaution for a quadriceps injury. On paper, he is expected to be a starter on Saturday night if he's healthy and fit. But questions about how long he will be wearing a Revolution jersey continue to linger. 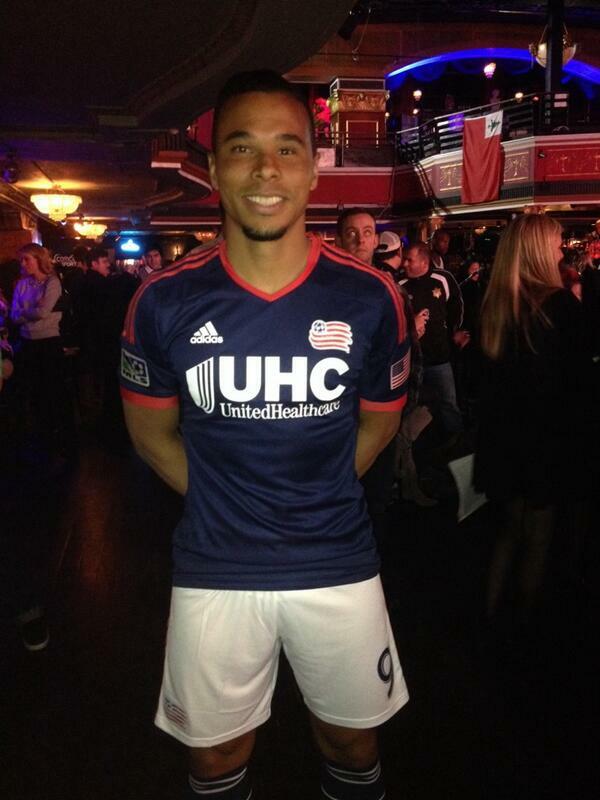 BOSTON- The New England Revolution unveiled their 2014 primary kit at Royale Night Club on Tremont St. before a crowd that included fans, media members, and players. 1. Heir to Agudelo- The biggest Revolution's biggest off-season loss was Juan Agudelo, who opted not to re-sign with MLS and try his luck in Europe. Agudelo, being one of the US' best offensive players, is hard to replace. But Teal Bunbury may be a suitable person to fill Agudelo's shoes. Since arriving, Bunbury, 24, has embraced the change of scenery. He has already featured prominently in Jay Heaps' lineup, logging 141 minutes in preseason play. Bunbury made the most of his time on the field, too, tallying two strikes that were indicative of a goal-hungry player. The first was a slick finish off an easy on the eyes feed from Diego Fagundez; the second, a bullet from long distance that flew into the back of the net. It's still early in Bunbury's Revolution career but the verdict from preseason is that he's able to contribute significantly in the attacking third. 2. The story with Goncalves- The reigning MLS Defender of the Year is, reportedly, unhappy. The source of his unhappiness seems to be the salary he is garnering. Both the Revolution and Goncalves said earlier this winter that the two parties would sit down and discuss the situation, though there has been no confirmation from either side that those talks have taken place. These are former Revolution striker and ESPN analyst Taylor Twellman's words: "Have you heard the rumors in preseason? He wears head phones, he doesn't talk to press, he warms-up by himself." Is there still cause for concern? Have the disputes been resolved? Will Goncalves be in New England for the foreseeable future? Without Goncalves, last year's captain and a defensive brick wall, there is no doubt that the Revolution will be weaker. Much of the team's success in 2014 will hinge on what happens with their leader in central defense. The playoffs will be excruciatingly hard to reach without him. 3. 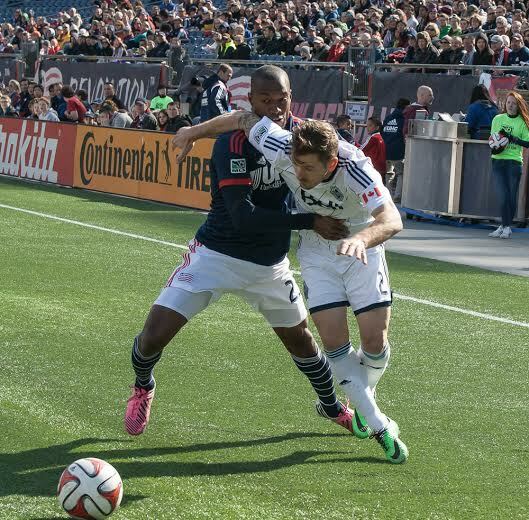 Brave New World- The 2014 New England Revolution is a good team. But is being a good team enough to take them into the playoffs a second consecutive time? This off-season wasn't just about the Revolution retaining and replacing talent. It also saw a huge growth in the quality of players MLS brings in, particularly in the Eastern Conference. Sporting Kansas City, New York Red Bulls, and Toronto FC are hard to look past as shoo-ins to make the playoffs, even if the season has yet to start. On par with the Revolution is essentially every other team in the conference. Success in 2014 will come down to three things: consistency, limiting errors, and attacking the schedule. Teams may still catch fire (sort of like the 2013 Revs did after a 5-0 win over Los Angeles) but constant good play will be needed to enhance those runs and make a playoff push. Every team will allow some ugly goals. But the playoff caliber teams will be the ones who either overcome those deficits or limit the untimeliness of the goals they allow. Lastly, road wins and ties will be extremely valuable; losing twice in a row at home could be devastating. Third-year midfielder Kelyn Rowe poked a feed from Diego Fagundez into the back of the net in second half stoppage time to give the Revolution a 1-0 victory over the Chicago Fire in preseason action. Fagundez headed the ball down in the penalty area for Rowe, who took one touch before slotting into the net. Chicago's Quincy Amarikwa hit the crossbar seconds later, but the ball stayed out to preserve a shutout for Brad Knighton. This was the Revolution's first win against an MLS team this preseason. They improved to 2-1-3. 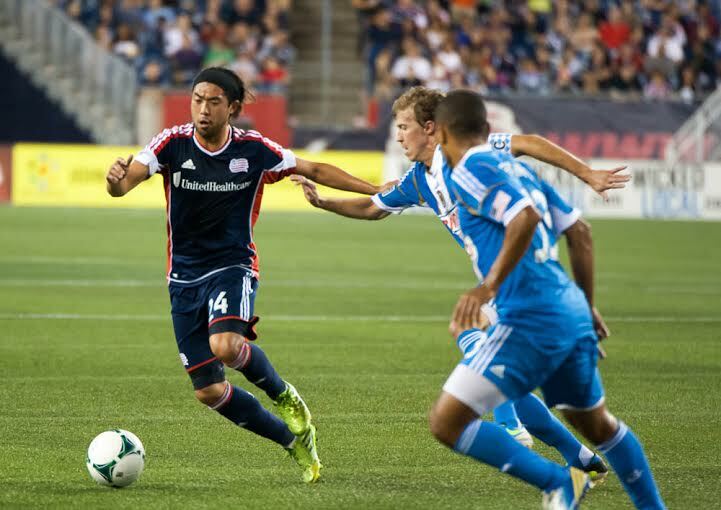 BOSTON- The New England Revolution added depth on Wednesday by signing midfielder Daigo Kobayashi and defender Jossimar Sanchez. Kobayashi, 31, is was acquired from the Vancouver Whitecaps in exchange for a fourth round pick in the 2016 Superdraft. Meanwhile Sanchez was added as an un-signed pick out of the University of Connecticut. The terms of both deals were not disclosed, though Kobayashi did sign a new MLS contract. Kobayashi is a midfielder from Japan who has experience playing in his homeland, Norway, Greece, and most recently the US. He joined the Revolution on trial last week and played one half of a 0-0 preseason tie against Real Salt Lake. He also has one appearance with the Japanese national team. “Daigo is a technically-gifted player who fits into our system well,” Revolution general manager Michael Burns said in a statement. “He assimilated well with our club when he was in Tucson with us, and we are looking forward to his return to the club soon. Sanchez, 22, was the fourth overall pick in last year's Supplemental Draft. He was unable to train with the Revolution for most of last year because of a leg injury, but did practice with the club toward the end of the season. He so far has 207 minutes in preseason, all of which have been played at outside back. “Jossimar is a young player who will provide depth for us,” Revolution general manager Michael Burns said. “He worked hard to return to full fitness after his injury in college, so we’re pleased he’s earned a spot on our roster this year." The newest member of the Revolution's forward line is Teal Bunbury. The Revolution signed the Canada-born, US-international on Wednesday from Sporting Kansas City in exchange for a first-round pick in next year's draft and an undisclosed sum of allocation money. The acquisition gives the Revolution a proven, dynamic forward in Bunbury, 23. 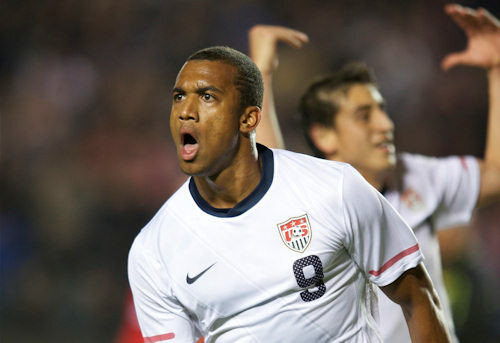 The move could also serve as a replacement for Juan Agudelo, who departed New England in the early winter for Europe. Bunbury was one of Kansas City's best players, but was really not part of the core group that helped the team win the MLS Cup last year. He was sidelined in Aug. 2012 with a torn ACL and only returned to the starting lineup last June. After coming back from the injury, Bunbury was mostly a bench player and made just three starts. On a Kansas City team that was chock full of classy, attacking players, Bunbury was forgotten. The injury, being longterm, gave other talents the opportunity to rise to the occasion and establish themselves as legitimate starters. That happened and Bunbury found himself, to his misfortune, out of a starting position. Enter the Revolution, who have been on the lookout for new forwards. On paper, Bunbury is a reliable player. Prior to his injury, he earned four appearances with the US national team, scoring in a 1-1 tie against Chile in a friendly match in Jan. 2011. During that time, Bunbury was a regular fixture at the club level, too. He found his way to Kansas City as the fourth overall selection in the 2010 draft. He scored five goals in 25 games his rookie year, upped his contributions to 11 goals in 32 games in 2011, but then had his output truncated to just five goals in 2012 because of his injury. There is always the chance that a torn ACL permanently changes a player's quality. But this doesn't appear to be the case with Bunbury. For one, he was still used as a depth piece and off the bench last season. Kansas City was also only willing to part with him for a high price (a first round pick isn't something to give away). Meanwhile the Revolution, who have been aware and committed to adding a capable attacking piece, will have vetted and evaluated Bunbury's form. Revolution coach Jay Heaps has always valued intra-league acquisitions. Players such as Agudelo, Clyde Simms, Paolo DelPiccolo, and Brad Knighton are some of the pieces Heaps has added from elsewhere in MLS. For Agudelo and Simms, changing scenery to New England was a good move. Both contributed positively for the team and improved their stock. Bunbury could be in for a similar track now that he's looking to re-establish himself with a team that's hungry for his talents. He's a speedy, dynamic player that can run at opposing defenses and be a target on set pieces. Heaps said at the beginning of preseason that he and staff never stop looking for ways to improve the team. The attack was the biggest area of focus for the team this offseason in the wake of losing Agudelo. Signing Bunbury won't necessarily solves all the problems, though it's a start. This is the team's first transaction since signing Charlie Davies on Jan. 9 (not including the draft picks). The club will probably continue to look at other players to strengthen the attack, including a slew of trialists who have been in and out of preseason camp. BOSTON- The Revolution's primary kit for the 2014 season will be unveiled on March 4 at the Royale Night Club on Tremont Street as part of Major League Soccer's "Jersey Week." The kit will be unveiled during a fashion show at the club, along with some Revolution team members. Bilello tweeted a photo of the new jersey's sleeve in January. The tweeted photo didn't reveal much, other than navy and red being the home jersey's primary colors. But the Revolution have been practicing with a new training top that has an updated United Healthcare logo for the club's shirt sponsor. United Healthcare has been abbreviated to UHC, which could be stamped on the 2014 kits, too. The Revolution kick-off their season on March 8 at Houston. The Revolution are looking to fill the void left by Juan Agudelo's off-season departure to Europe. They are using preseason as a chance to trial and vet possible replacements. The latest striker to earn a glance from head coach Jay Heaps and the Revolution coaching staff is Marvin Ogunjimi, 26, a Belgian national team player who is on contract with Spain's Mallorca but has spent the last three years on loan. Ogunjimi hasn't played for his national team, which is a favorite to do well in this summer's World Cup, since the qualification stages of Euro 2012. But he has bounced around with a few known clubs in central Europe. He began is career with Genk, notching 30 goals in 84 games. Next came a loan spell in the Netherlands before transferring to Mallorca on a permanent basis. He's only made seven appearances for the Spain Isle-based club, going on loan three separate times to Standard Liege, Beerschot, and Oud-Heverlee Leuven. Consistent play has eluded Ogunjimi, who might find a home in MLS with New England. 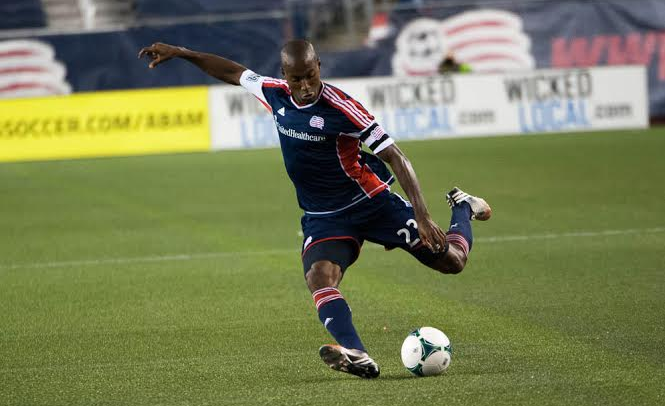 Last season, the Revolution signed Jose Goncalves, who bounced around Europe throughout his twenties, playing for nine clubs over a 10-year period. Goncalves went on to do well in MLS, being named the league Defender of the Year and the Revolution's club captain. A similar trajectory won't be out of the question for Ogunjimi if he makes a good impression during camp. Agudelo's skills, which include hold-up play, creativity, and good positioning, are in demand as the Revolution continue their preseason preparations in Tucson, Ariz. The club has already looked at forwards Evan Melo, Marko Perovic, plus unsigned college draft pick Pierre Omanga. General Manager Mike Burns told soccerly.com that he won't rush signing a player despite the need to fill voids. That window lasts until May 6. After that, the Revolution will have to wait for the summer transfer window. It's fitting that a guy whose last name is Destro, meaning right hand or foot in Italian, scores with his right foot. Mattia Destro scored twice to put Roma past Sampdoria 3-0 at the Olympic Stadium in Rome on Sunday. His first goal was a looping header off a corner kick. His second was a right-footed "destrino" drive from the six-yard box off a feed from Gervinho. Bosnia-Herzegovina roadrunner Miralem Pjanic had a goal sandwiched in between Destro's brace, a line-drive freekick that flew into the lower left corner of the net. Destro's second goal of the game, his sixth of the season, made him Roma's leading scorer on the year. That's surprising, considering he's only started six games. He started today in place of injured captain Francesco Totti (muscle strain). Juventus also won on Saturday, which means Roma are nine points behind first place. Roma, who are owned by Boston Celtics shareholder James Pallotta, have one game in hand on the Serie A leaders. Portugal and Mexico will play at Gillette Stadium in a pre-World Cup friendly on June 6, according to a release. Both teams are in the World Cup, which kicks off on June 12 in Sao Paolo, Brazil. Portugal, who are currently ranked fourth in the world, are in a group with the US, Germany, and Ghana. They lost to Brazil 3-1 in an international friendly at Gillette Stadium on Sept. 10, 2013. Mexico scraped their way into the World Cup, earning the last qualifying place from CONCACAF in an inter-continental playoff victory against New Zealand. The Mexicans kick-off their World Cup odyssey on June 13 against Cameroon. They will also play Brazil and Croatia in the group stage. Both teams are expected to bring their full squads to Foxborough since the World Cup will be just one week away. That means the likes of Cristiano Ronaldo, Javier "Chicharito" Hernandez, and other world stars available to play. The Revolution opened preseason with a 1-1 result against Swedish champions Malmo FF at the IMG Academy in Bradenton, Fla.
Kelyn Rowe opened the scoring in the fifth minute, putting the Revolution up after intercepting an errant back pass and firing a drive into the back of the net. Malmo's Emil Forsberg leveled the match in the 36th minute. He had a shot hit the post, but was perfectly positioned to put the rebound in the back of the net past Bobby Shuttleworth. Malmo's Pawel Cibicki shot off the woodwork again in the 70th minute, but nothing came from the rebound. Revolution rookie forward Patrick Mullins had an effort parried away by Malmo goalkeeper Robin Olsen in the 86th minute. All of the Revolution trialists saw playing time...Shuttleworth played the entire game and made three saves...Chris Tierney (foot), Saer Sene (ankle), Steve Neumann (ankle), and Charlie Davies (calf) did not play...Also not playing were Stephen McCarthy and Jose Goncalves due to " precautionary reasons after the heavy first week of training," according to the club. “I think this is a good first step for our team… some positives, some negatives; we’re still only in the first week of training here – I think we showed good fight,” said New England goalkeeper Bobby Shuttleworth. BOSTON- Fourteen-year-old Revolution Academy product Amos Shapiro-Thompson took a big step forward in his young soccer career on Wednesday when he earned his first call-up to the U-14 U.S. national team. He will join 35 of the nation's top U-14 players for a week-long training camp in Lakewood Ranch, Fla. The camp consists of two friendlies against local club teams, a scrimmage against a U.S. Residency Program team, and two practice sessions per day. "We weren't surprised that he was called up," said Bryan Scales, the Director of Youth Development for the Revolution Academy, in a phone interview. "Amos has a ton of talent, we've seen that over the Fall season. They've been tracking him over the last year." "He'll really enjoy it," continued Scales, who served as an assistant coach for the U.S. U-15 team and coached at Cornell University. "He'll be there with the best players in the country. Amos is the youngest, but it's good for him to get in, get measured, and see how he gets in with other top players." This is Shapiro-Thompson's first season with the Revolution Academy. In the Fall, he made eight appearances, tallied one goal, and added three assists. Scales said Shapiro-Thompson still has more developing to do before he can be considered for the first team. But the Revolution Academy has a proven record in helping raw talent flourish, evident by the success that Diego Fagundez and Scott Caldwell, both Academy alumni, have had. Revolution personnel, including General Manager Mike Burns and Head Coach Jay Heaps, have seen Shapiro-Thompson play, according to Scales. Time will tell if they'll one day be watching him as a regular contributor at the professional level. "He has a ways to go," said Scales. "He has the talent...our job is to find players and find kids who can play for the first team. Our job is to create an environment for them to develop." Revolution President Brian Bilello has said repeatedly that a club goal isn't to lead the league in number of homegrown players, but to lead it in homegrown player minutes played. This off-season alone, 12 players have signed homegrown contracts. Fagundez and Caldwell are the only homegrown players on the Revolution (Juan Agudelo was a homegrown player, but out of the New York system). Together, they accounted for 4,601 total minutes last season. The Revolution had the second-highest homegrown player minutes in 2013, behind Columbus (5,106). But Columbus had four homegrown players while the Revolution had two (not counting Agudelo). FC Dallas has nine homegrown players, but they combined for just 1,394 minutes last year. Those figures show that the Revolution cares about having homegrown players that are able and ready to contribute to the first team. Fagundez is one of the league's best attacking players, while Caldwell is easily one of its top 10 holding midfielders. Shapiro-Thompson will remain homegrown eligible unless he decides to participate in the MLS drafts. But even that could be predicated on whether or not he goes to college. Scales says there's still a long way to go before those types of decisions need to be made. The good news, for the Revolution, is that quality has come both from players who came out of the college system or skipped college entirely. Caldwell played at Akron for four years, winning the national title in 2010. Meanwhile Fagundez didn't attend college, signing a professional contract in Nov. 2010 when he was still 15. The Revolution have re-signed midfielder Lee Nguyen. Nguyen, 27, appeared in 63 matches during the last two seasons and has played as a playmaker, on the wings, and in a holding position. Revolution Head Coach Jay Heaps saw Nguyen's talent and versatility and didn't hesitate to pass it up when Nguyen was surprisingly available in the 2012 Waiver Draft after being released by the Vancouver Whitecaps. Nguyen has nine goals and nine assists through two seasons with New England. He has additional playing experience in the U.S. youth and senior systems, plus at the club level with PSV Eindhoven (Holland), Randers (Denmark), Hoang Anh Gia, and Becamex Binh Duong (Vietnam). Nguyen's base salary last year was $73,600, according to the MLS Players Union. Terms of this new deal were not disclosed. FOXBORO, Mass.- When the Revolution take-off from Boston to travel to the IMG Academy in Bradenton, Fla. on Monday, there will be snow on the ground. When they land in the Sunshine State, there won't be a trace of winter weather. "It's gonna make us warm, which is going to be awesome," said Kelyn Rowe on Sunday at the Revolution's practice inside the Dana Farber Field House during which some players wore hats and mittens. "We can't wait to get out of this cold." It's fitting the Revolution are leaving Boston's chill since this trip to Florida, the first of two preseason stops, is supposed to serve as a warm-up for the 2014 season, which kicks off on March 8 at Houston. On Sunday, both experienced MLS players and rookies underscored the importance of regaining match fitness and practicing tactics. But they also touched upon the need to acquaint and re-acquaint both on and off the field. "We need to get that bond together," said Rowe. "It's weird to say but it's a bond of brothers where we're playing together every day and living together. That chemistry on the field is going to help us immensely." The Revolution will practice at the IMG Academy, which has helped develop a slew of talent since 1999. Some of its alumni include Landon Donovan, Jozy Altidore, DaMarcus Beasley, and current Revolution defender Kevin Alston. Such a setting is ideal for training and further sharpening of skills. The Revolution will play at least one preseason scrimmage in Florida. They will take on reigning Swedish champions Malmo FF this Friday. "Through preseason it's just getting back into the rhythm of playing my game, playing with the team," said Rowe. "Obviously we're going to have a lot of guys back that were here last year and the year before. We know each other well enough, it's just finding that bond again, that strength we had in numbers, and being able to play with each other." Rowe's dynamic play in midfield was a key component that helped send the Revolution to the playoffs last year. He contributed seven goals and eight assists and was able to find the consistency as a second-year player that eluded him as a rookie. "I'm still one of the youngest guys on the team but I'm a little more confident, a little more experienced. Obviously not to the point of any kind of true authority or veteran at all," said Rowe. "I wouldn't put myself in that category. But it's nice to know that I know how to get through two preseasons, I know how to get through two full seasons and I'm preparing myself for it." While Rowe is excited for Florida's warm weather, there is another relevant location that's warmer. The U.S. national team has been training in 90 degree Sao Paolo, Brazil, 27 degrees warmer than Bradenton, for a camp. U.S. head coach Jurgen Klinsmann has called a slew of MLS players to make their case for inclusion on the national team's roster for this summer's World Cup. On Saturday, the day after the Revolution square off against Malmo, the U.S. will take on South Korea in a friendly in Los Angeles. Rowe was regarded as a national team snub by many soccer pundits after his strong finish to the 2013 season. Rowe said he would have loved the opportunity to train in Brazil with the senior team even though he's excited to be back with the Revolution. "I wanted to go to the camps," he said. "Every American player does and everyone wants to go to their national team. I thought I had a decent year, it was a good year for me. But it's a World Cup year and we have a bunch of guys that are great players in that World Cup squad. Obviously it's oil in the fire and it's going to make me go harder and harder. I have to have another good year to be called in, I know it's not given to me. I have to earn it." 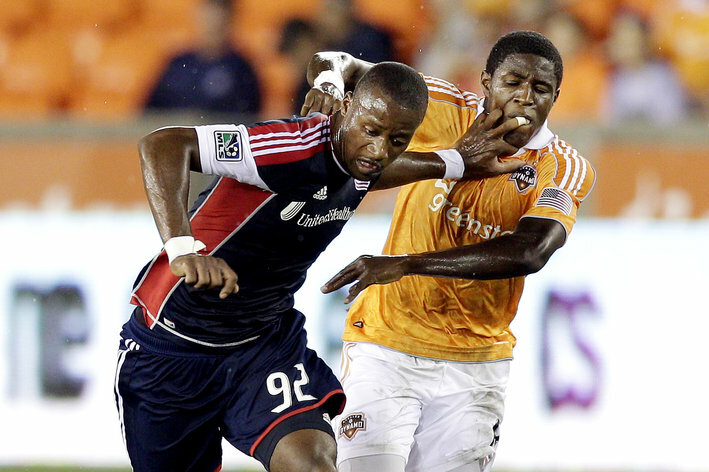 FOXBORO, Mass.- Second-year right back Andrew Farrell is excited that the 2014 MLS season is fast-approaching. "I'm glad to be back," he said on Sunday morning at the Revolution's second preseason practice in the Dana Farber Field House. "It's like the first day of school, without school." And Farrell is one of the teachers. In addition to getting himself back into shape ahead of the regular season kick-off on March 8, Farrell has been looking out for the Revolution's fresh rookie talent. "Farrell definitely was one to come up to me pretty quickly," said forward Patrick Mullins, who the Revolution drafted with the 11th overall pick out of Maryland. "[He's told me] to go out and enjoy and work hard every day. As a pro you just want to come out and get better every day...that's something that gains respect from coaches and your teammates is just coming out and putting in your best effort every day." Farrell is a suitable role model. After getting drafted first in 2013, he went on to play in all but two regular season games and contribute to one of the league's best defenses. What's more, Farrell is one of 13 players under 25 on the Revolution's roster. That he and others have had such success as young players in MLS is proof to the rookie class that they can make an impact, too. "When you walk in you feel an excitement to it," continued Mullins. "It's a youthfulness in the air. It makes it really easy to come in and feel like your one of the guys from the start. Me and the other rookies, we've come in, and they've accepted us pretty quickly." The Revolution will train in Bradenton, Fla. next week until Feb. 7. On Jan. 31, they will take on reigning Swedish champions Malmo FF in a preseason friendly. Preseason is a time to regain fitness and acclimate to new teammates and tactics. It's also a chance for the Revolution to experiment with both signed and un-signed players. "It's very important for us to accomplish things tactically and physically so we're matching those two things together along with the development of our younger players into what we're trying to do," said Head Coach Jay Heaps. The Revolution have rotated different players into different formations in past preseasons. When asked about the Revolution's formation in 2014, Heaps said that while the on-field structure is subject to change, the style of play will stay the same. Only two of the Revolution's draft picks are unsigned trialists: Alec Sundley and Pierre Omanga. Sundley is a midfielder while Omanga is a power forward. The two othe trialists are Marko Perovic and Evan Melo. Perovic, 30, is a Serbian player who can play as either a midfielder or forward. He played for the Revolution from 2010 to 2011 and has additional experience with Red Star Belgrade, FC Basel, and Persepolis. He is a sharp-shooting striker and can deliver dangerous set pieces. Melo, 20, is a striker from Congo who last played for FC Sion. He joined the Revolution on trial last summer, but the opportunity to sign him never arose. Heaps said the Revolution will continue to look for other players to strengthen the team as preseason progresses. "We're always trying to get better," said Heaps. "We have a list of players we're in conversations with. There's dialogue further along but at this point it's still dialogue. And until those things start to further matriculate, we don't want to talk about them too much."